GM Ron Henley does a great job presenting the material based on his book Crushing White: The Dzindzi Indian. taken from his over the board experiences. This opening is easy to learn so you will be able to play The Dzindzi Indian immediately!!! Crushing White: The Dzindzi Indian Vol. 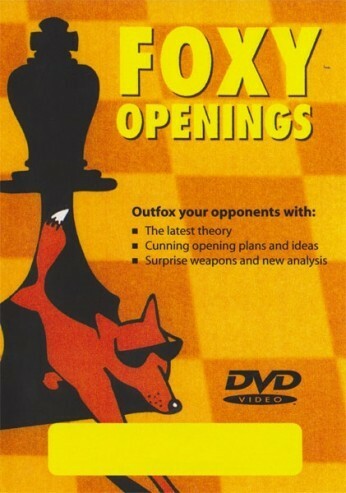 2 Foxy 122 vol.2 This the most comprehensive 3 Part DVD series ever produced on the Dzindzi Indian - designed to give Black an easy-to-learn yet powerful and incredibly effective weapon which scores a remarkable 57% for Black. GM Ron Henley plays this Opening on a regular basis for Black and combines his own ideas with Roman Dzindzichashvili (the creator of the Dzindzi Indian) GM Ron Henley does a great job presenting the material based on his book Crushing White: The Dzindzi Indian. GM Ron Henley will give you example games on each variation, as well as theory, recap of all the ideas given throughout the dvd which will make it easy for you to remember. Also covered is what to do when white trys to avoids the Dzindzi Indian and GM Ron Henley will give his own recommendations taken from his over the board experiences. This opening is easy to learn so you will be able to play The Dzindzi Indian immediately!! !